The Jaguar I-Pace electric SUV has been awarded a five-star safety rating by the Euro NCAP safety certification body. 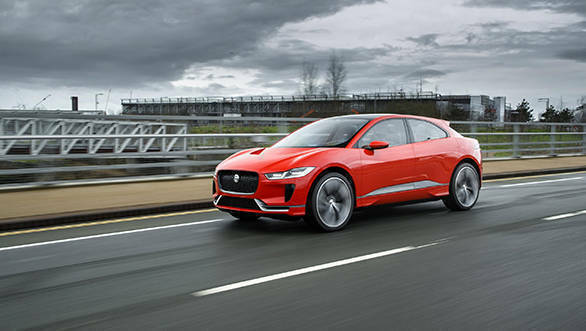 Jaguar Land Rover stated that I-Pace's lightweight aluminium body structure delivers inherently high levels of stiffness, and when combined with the integral battery pack  protected by a structural aluminium frame  delivers the highest torsional rigidity of any Jaguar yet, at 36kNm per degree. In the Euro NCAP testing, the I-Pace scored 91 per cent for adult occupant protection, 81 per cent for child occupant protection and 81 per cent for safety assist. The EV performance SUV also got the highest permissible score in the side barrier impact and the more severe side pole test. Other highlights of the I-Pace's structure are the use of aluminium forgings, an industry first. It is also the first Jaguar to use post-form heat treatment to increase the strength of the aluminium alloys used in crash-critical areas. The I-Pace also gets a large suite of active and passive safety systems, in addition to the industry standard adaptive cruise control with steering assist, blind spot assist, and 360 degree parking aids. The SUV comes equipped with a deployable bonnet and autonomous Emergency Braking with pedestrian and cyclist detection. Jaguar also designed an audible vehicle alert system (AVAS) that warns road users when the electric vehicle is approaching. The sound can be heard at speeds up to 20kmph and exceeds the 56dB(A) minimum required by forthcoming European legislation. 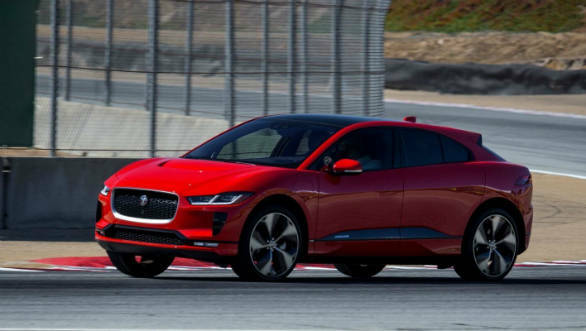 The Jaguar I-Pace comes powered by two electric motors to drive all four wheels, with 400PS / 696Nm. The motors draw power from a 90kWh lithium-ion battery. The Jaguar I-Pace accelerates from 0 to 100kmph in a claimed 4.8 seconds, while still maintaining a range of 480km on a single charge. With a 100kWh DC fast charger, the Jaguar I-Pace battery can reach 80 per cent of its charge in 40 minutes. Jaguar has even programmed the navigation system to offer routes that ensure the maximum range. Jaguar has priced the I-Pace at 63,495 GBP (approximately Rs 56.98 lakh) excluding taxes and duties. The I-Pace competes with other EVs like the Audi e-tron, the Mercedes-Benz EQC and Tesla Model X.